0	0	Heart's Time	In Stock - Order before 4pm for same day dispatchWant it on Wednesday 24 April? 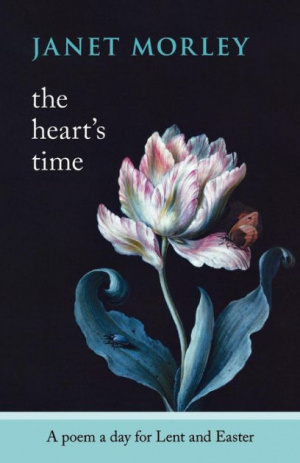 Heart's Time by Janet Morley was published by Spck in November 2011 and is our 3422nd best seller. The ISBN for Heart's Time is 9780281063727. An anthology of poems, grouped into a succession of week-long themes for the seven weeks of Lent, and preceded by an introductory ‘engaging with Lent’ selection. Janet Morley provides a commentary for each poem, highlighting its imagery and explaining its relevance. Some are intentionally ‘Spiritual’ poems, others are not – the likes of Margaret Atwood, St Augustine, Emily Dickinson, Robert Frost and Christina Rossetti all rub shoulders. Themes include expressing our longings, struggle, suffering, altered perspectives and finally, appropriately enough, resurrection. This would make a good gift for any poetry lover – I found several poems previously unknown to me and the commentaries provide depth and insight, not shying away from difficult matters and taboos, but ending on a positive and challenging note. Highly recommended. An anthology of poems, grouped into a succession of week-long themes for the seven weeks of Lent, and preceded by an introductory �engaging with Lent� selection. 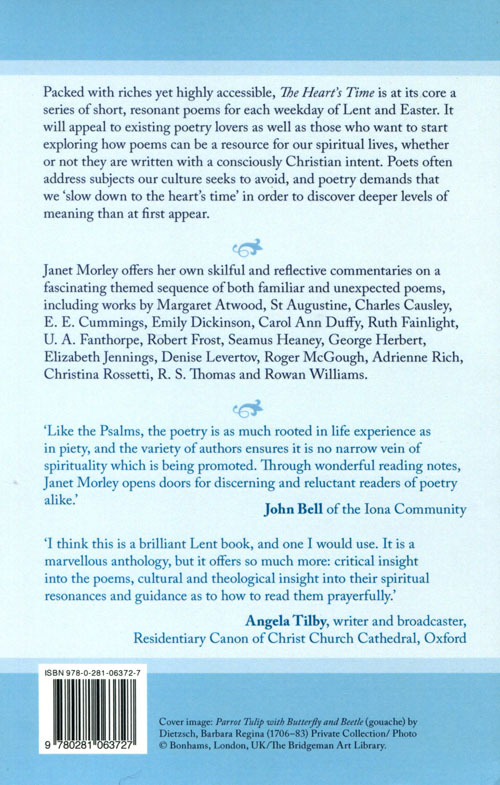 Janet Morley provides a commentary for each poem, highlighting its imagery and explaining its relevance. Some are intentionally �Spiritual� poems, others are not � the likes of Margaret Atwood, St Augustine, Emily Dickinson, Robert Frost and Christina Rossetti all rub shoulders. Themes include expressing our longings, struggle, suffering, altered perspectives and finally, appropriately enough, resurrection. This would make a good gift for any poetry lover � I found several poems previously unknown to me and the commentaries provide depth and insight, not shying away from difficult matters and taboos, but ending on a positive and challenging note. Highly recommended. Got a question? No problem! Just click here to ask us about Heart's Time.